To see the latest update on the Meltan research being conducted by Professor Oak and Professor Willow, please view this video: https://youtu.be/6ddxlXwEQ30. Pokémon: Let’s Go, Pikachu! and Pokémon: Let’s Go, Eevee! will be available exclusively on Nintendo Switch on November 16, 2018. 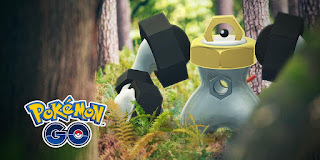 For more information, please visit Pokemon.com/PokemonLetsGo.